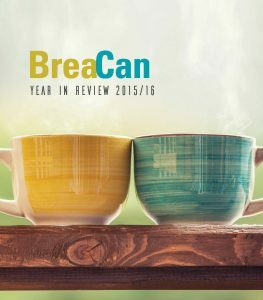 The BreaCan Year in Review 2015-2016 celebrates the highlights and achievements of the last financial year. It includes information about services delivered to people affected by a gynaecological or breast cancer through the Resource Centre, Bridge of Support programs, and projects. It also features several stories from service users and a health professional.